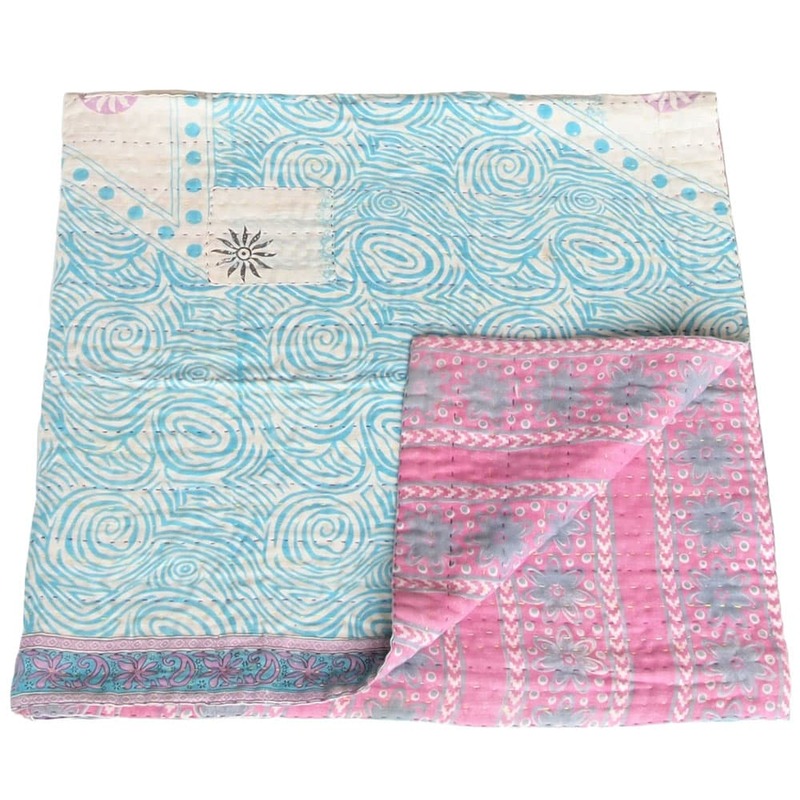 This kantha blanket is made of a white sari with a light blue motif one side; on the other is a pink sari with soft grey flowers. 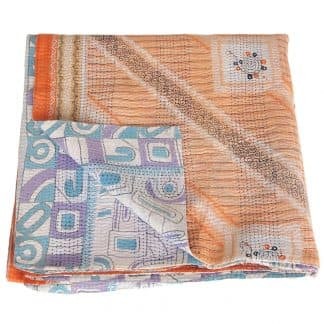 Each blanket is unique and the fabrics have been selected and stitched with care. 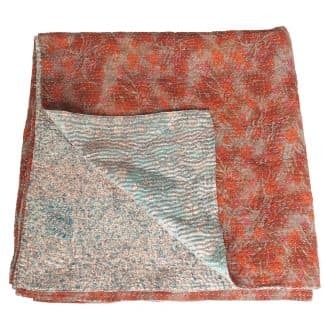 Made by Jony, she has worked approximately two days on this throw. 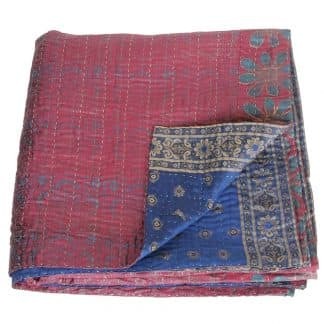 Mothers from Bangladesh have used blankets like this for centuries to keep their children warm.